Window Box Garden Sage is a Mountain Valley Growers introduction. It sprouted from a batch of regular Garden Sage seed planted two decades ago. In the picture to the left, Window Box Sage is happily growing in a window box high above Chicago. 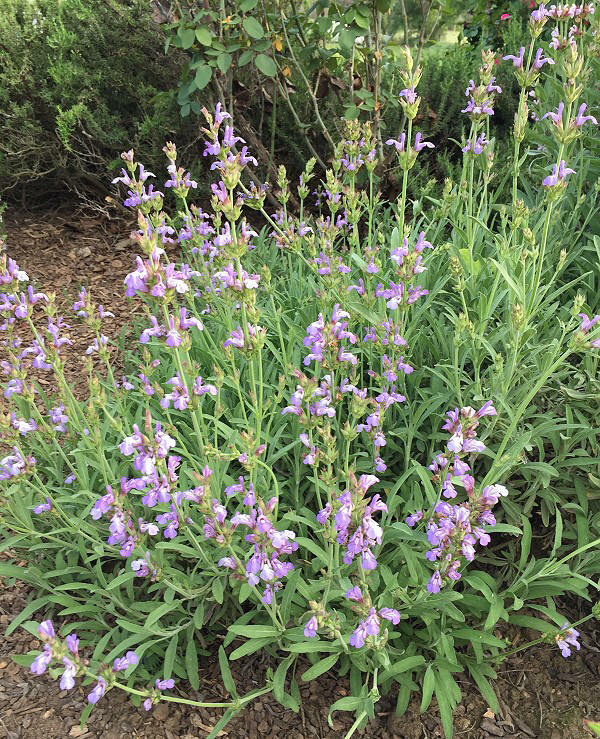 Window Box Sage has the same robust flavor as traditional Garden Sage. Other culinary plants suitable for small spaces include Chives, Garlic Chives, Winter Savory and the cooking Thymes. Here is a link to all of our Culinary Herbs. Window Box Garden Sage rarely gets over a foot tall but can spread if its stem is allowed to lay on the ground and root. It flowers in early spring and is covered with short stems of bright violet. 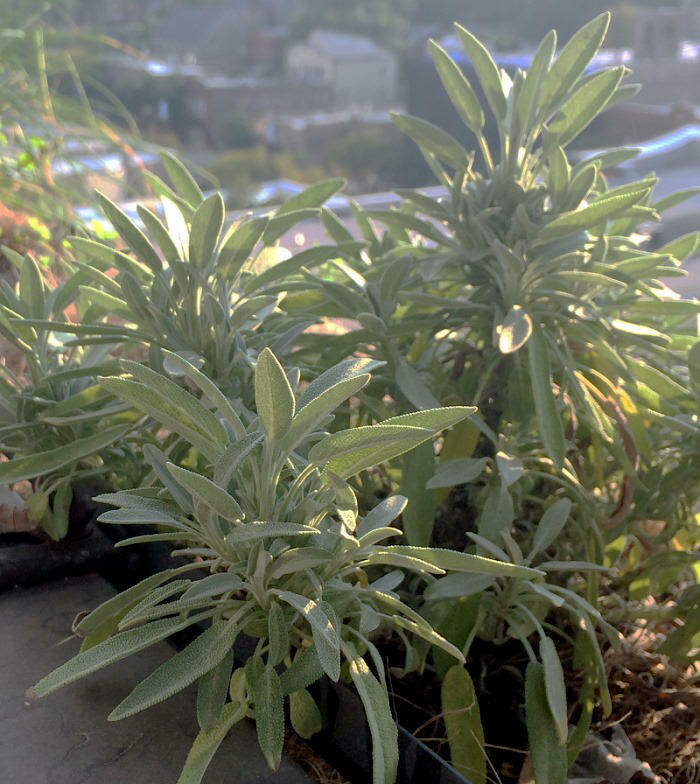 Window Box Garden Sage is one of the six plants chosen to be in our Small Space Herb Garden Six Pack. This plant is often available in plug trays. These trays hold 128 of all the same plant. They are a great low cost way to fill a lot of space. Each cell is 3/4 of inch by an inch. Check here to see if Window Box Garden Sage Plug Trays are available.